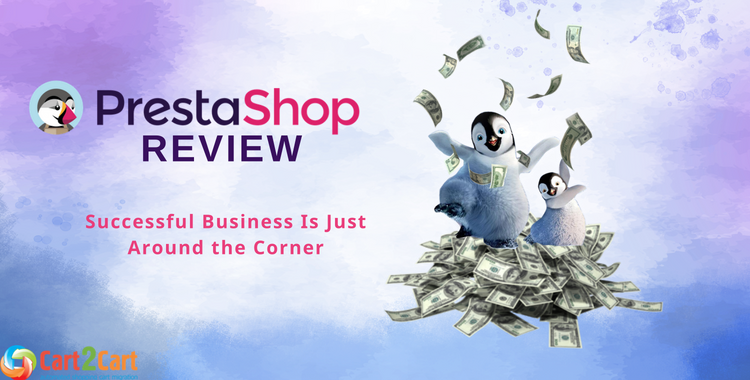 PrestaShop Review: Successful Business is Just Around the Corner. Are you looking for a win-win solution? For a break-even, lucrative and reliable shopping platform? Well, you’ve come to the right place. PrestaShop is an insanely straightforward, free, leading and advanced sales cart with extended functionality and efficiency. From nothing to the jackpot you can, without any technical skills, create a brand new online shop. No frustration, no bugs, no wasteful expenses, leave all this stuff behind. PrestaShop has on offer a wide range of features, that guarantee the rapid development and immediate feedback from satisfied customers. Its endless list of benefits just cannot be fully presented in only one post. However, we’re not afraid of a dare, so the detailed PrestaShop Review to your kind attention. What Does PrestaShop Have That Others Don’t? All right, let’s get something clear. Officially launched in 2007, to date PrestaShop can boast of a using in 150+ countries and hosting 270,000 online retail stores all over the world! Client loyalty is embodied in about 5 million downloads and 700,000 community members. Isn’t such popularity the best proof of high quality? Generally, PrestaShop is a great blend between Magento's robustness and WooCommerce's usability. It’s not that expensive to maintain and customize as Magento and more superior than OpenCart. PrestaShop’s 100+ employees speak many different languages. Actually, with such an astonishing number of eStores worldwide, they have no other choice. This platform was designed to grow and develop small, medium and big-sized business. Each detail has been worked out in keeping with this original intent. So, let’s hash things out. What if you start to use and adjust PrestaShop not knowing anything about the platform? You can build a complete eStore with it - the best illustration of how user-friendly this sales panel is. No kidding, you can really wake up not having an online shop and go to sleep with a few sells made. It scores very high in the segment of usability because the installation requires minimal technical skills. 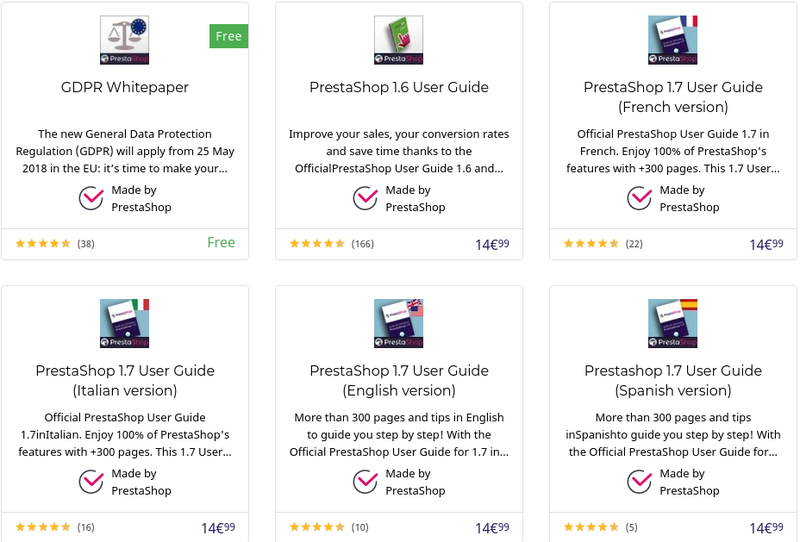 You can install PrestaShop in only one click, and when it comes about daily operations, it’s easier than ever for both beginners and advanced users. Unlike others eCommerce carts, you’ll understand the system’s functionality on your own. Forget about additional specialists required to teach you the workflow of PrestaShop software. You’re your own boss now. On the official website, you may avail 3900+ PrestaShop themes and 3600+ modules for your online store, priced between $50 and $530. 25000+ plugins are available for adding desired functionality, among them advanced modules, premium responsive templates, beautiful themes, top-end admin functionality, search engine optimization, secure transactions, ordering and even filters. In the list of bestsellers, you can find the most popular plugins, other users have downloaded and rated. For instance, the most popular browser tab notification module displays the number of products in a customer's cart next to your store's favicon. It's a powerful and effective nudge to remind users they have a full cart and encourage them to check out, not receiving any reminder e-mails! An artist lives inside you? Great! With PrestaShop modules, you can edit colors, CSS, and fonts, add product images and descriptions, complete social media plugins, etc. Using all these tools, you’re able to create a magnificent, well-organized and truly beautiful eStore with easy navigation and clear ordering. Your customers will experience the best online shopping ever. The thin line between walk-in and loyal customer, right? Isn’t “free” the sweetest word? Good news, with PrestaShop you’ll often stumble into it. Wait, we know what you’re thinking, but there are no hidden charges or tricks as well. All you have to do is download, create a database, upload the software to your server using an FTP client, and then install this service on your web hosting account. Once you’re done with this, the platform is entirely at your service. Perform your existing store migration to PrestaShop and learn how to count your money quickly. Not costs, but profit. If the price of doing business comes first for you - switch the data over to this cart with no regrets. The best thing about PrestaShop pricing is its absence. Do you carry a computer around everywhere? Probably no. As well as your customers. PrestaShop is highly responsive to cell phones, so it makes sense if you’d like to stay close to your shop, control everything whatever you do and keep in touch with clients worldwide. 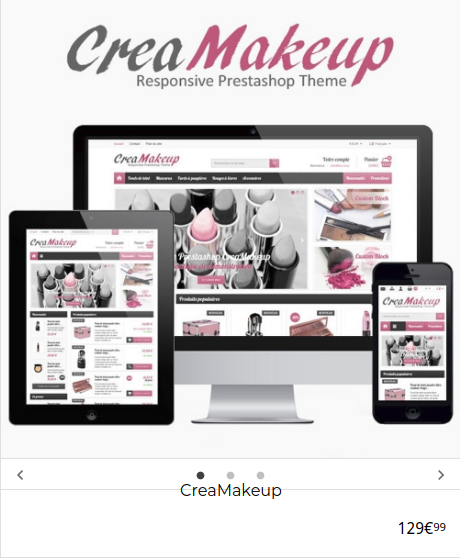 The default PrestaShop templates are mobile-friendly (3000+ themes), thus your store will work efficiently and smoothly and look fabulous on all portable devices. Furthermore, the User Interface, as well as the Admin Panel, can be operated and run through different screens. This friendliness will boost sales and enhance the capacity dramatically. PrestaShop could float into the cellular device all features of your store, along with sliding panels and standees for distinctive products and offers, without screwing them up. 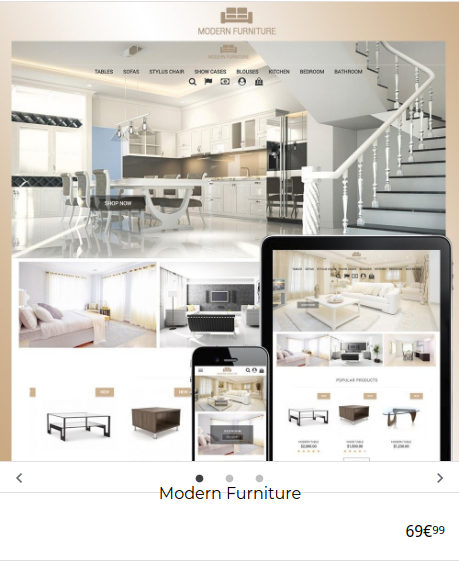 Any time and from anywhere all clients will enjoy the finest mobile shopping on your eStore. It’s a no-brainer, that popularity is the most high-flying quality, which makes PrestaShop one of the well-known eCommerce platforms. Its vast support community is the best ever help a developer can dream of. Immediate freelancers on the PrestaShop hosting (11000+) are ready to help you before you know it. Taking care of both beginners and advanced developers, PrestaShop website is “armed to the teeth.” It includes general support portal with complete information about the platform’s different features, functions, and settings. FAQs and user guides can answer common questions and setup concerns. For personal interaction lovers, this cart offers an online support forum and PrestaShop community. Its customer service representatives won’t only answer all your questions but will also provide you with training courses and paid assistance if and when you require. Moreover, when it comes to switching over to PrestaShop, it all worked out. This platform formally cooperates with Cart2Cart to ensure that customers get the best quality of migration. To sum up, PrestaShop is an ideal platform to run a multilingual eStore for virtual and physical goods. The function utility is far more than any user has ever dreamed of having on the websites. As for efficiency, the platform is lightweight and well optimized, thus not loading the servers. 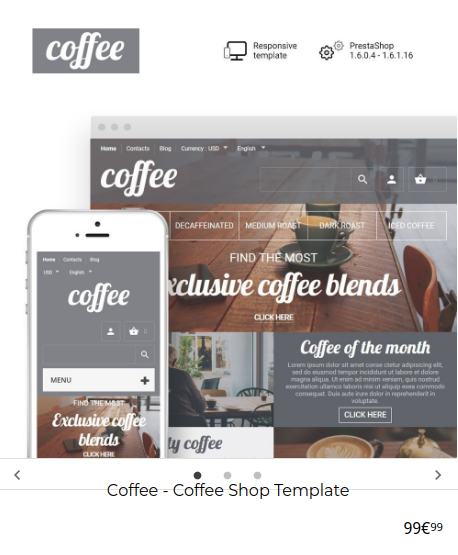 Add to this numerous outstanding PrestaShop templates, add-ons, free domain name, free shared SSL, special deals and promotions, cross-selling, and affiliate programs. Can you imagine what is better? Hardly. But PrestaShop developers can. And they’re not going to be complacent. So, don’t lose your chance, take into consideration the above-mentioned reasons for migrating to PrestaShop, try Free Demo and mint money. Cart2Cart will help you to introduce your eStore to the world and hit the jackpot! 6 thoughts on "PrestaShop Review: Successful Business Is Just Around the Corner"
Thank you for a positive feedback. We’re happy to know to appreciate your posts! Hope to hear from you soon! Thank you so much for taking time and leaving a comment! Your opinion is very useful and important for our team. Hope to hear from you more! Thank you so much for this positive feedback! We’re very happy to be helpful to you. Keep in touch!